​We have seen the importance of breeding and feeding regimes to the quality of Spanish ham. The preparation of Serrano ham is also crucial, and may actually be the most important part of the business of making ham! When it comes to scent, nuances of flavor and aroma, and the degree of salt, curation and so forth, it's all down to the preparation process. To make a leg of pork into Spanish ham, all you really must have is salt and a long time to let it cure. But it takes much more than that to turn a leg of pork into a quality ham. Let's look at how that's done! 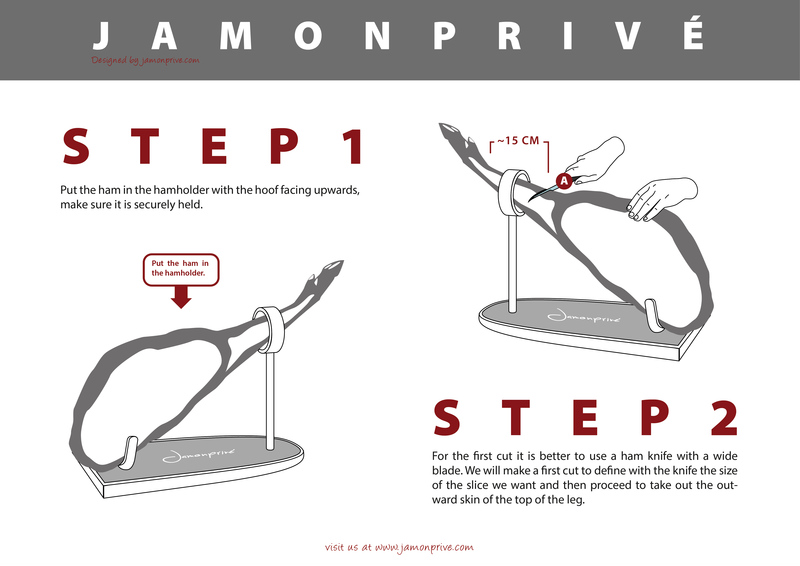 It's clear that the preparation of Serrano ham can be aided and augmented by high technology, and all the factors in play can then be controlled with far greater precision. 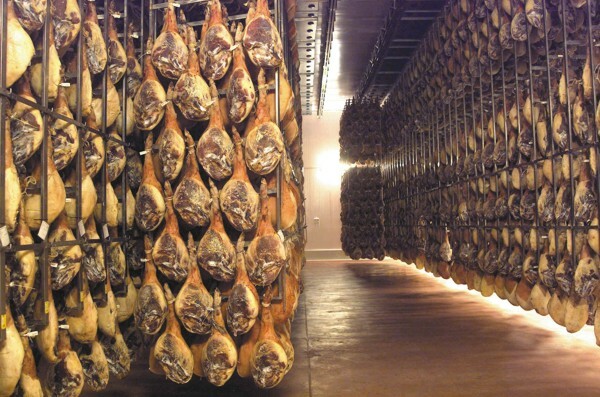 The most prestigious producers of Serrano ham are in Teruel and in the provinces of Granada and Almeria. Typically, producers will begin work on a pork leg which is reared, slaughtered and butchered elsewhere before being delivered to them, though some producers have their own slaughterhouses. On receipt, the producer will check that the meat meets the statutory requirements to qualify as Serrano ham - that it weighs over 9.5kg wet, for instance. Once a producer has verified that everything is as it should be with the raw material, the meat is taken to the salting room and salted with sea salt and nitrous salt that helps to desiccate it slightly, reducing its moisture content and speeding the curing process. This also helps to preserve the pink flesh tones that are so characteristic of Serrano ham, and hams are sometimes left in the salting room for as much as two weeks, depending on factors such as their weight, the amount of fat on the ham or the thickness of the piece. The environmental conditions in the salting room are strictly controlled, with temperatures never falling below 0°C or rising above 4°C, while humidity is kept at a steady 80%. Once the salting is complete, the Spanish hams are brushed and washed thoroughly to get rid of any excess salt from their surfaces. After this, they are allowed to stand for at least 40 days to allow the salt that has already been absorbed to distribute itself throughout the meat evenly and to allow the ham to acquire personality, without the intrusion of mold or other issues. The resting room is kept in conditions similar to those i the salting room. After this, the Spanish ham is ready to move to the drying and curing room. This is perhaps the most crucial period,lasting more than 100 days and clearly defining the best quality ham. The piece will be hung in a well-ventilated room whose temperature will gradually increase as the days go on, starting at about 6°C and rising to 34°C with a humidity of around 80%. As the temperature rises, the ham undergoes a slow process of exudation,gradually acquiring all the properties of flavor, aroma and appearance that we associate with the best Serrano ham. The final step in the preparation of Serrano ham is the aging or curing cellar. This is a complex matter that is usually decided on the personal opinion of an expert rather than by any formula, and it's one of the factors that affects quality and price the most. Curing time acts almost like an index of quality. Consider that Bodega Serrano ham is usually aged for between 8 and 11 months, Reserve for 11-14 months and Grand Reserve never less than 14 months. 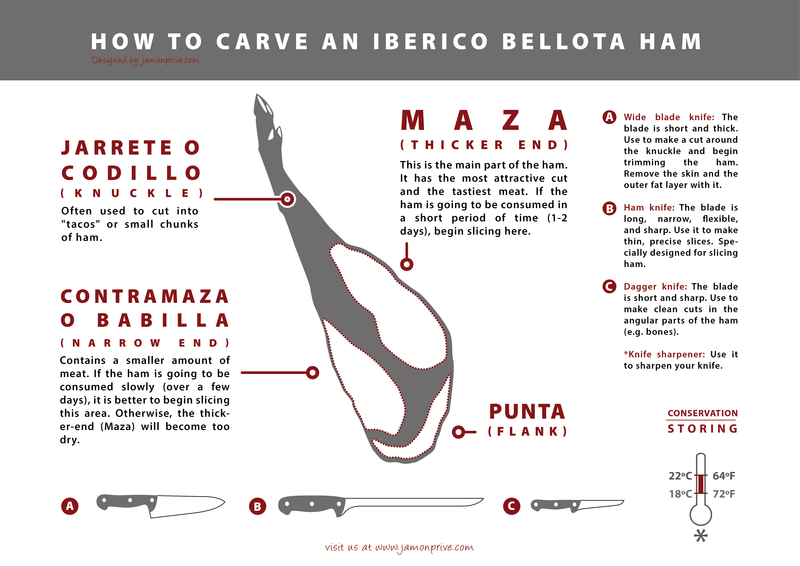 So we can see that the true secrets of making fantastic Serrano ham aren't secret at all. On the one hand, it's about the traditional knowledge of skilled craftsmen working in a way that's based on experience and expertise, and on the other it's the appliance of a little science to the fact that sometimes, good things come to those who wait.